Wednesday evening 19:15 all participants and speakers are invited to the QCon Conference Party with free food and drinks. This is an excellent opportunity to mingle with speakers and network with other conference attendees. Is that last change to discuss with the speakers, or get the answers to the questions you never got the opportunity to ask. 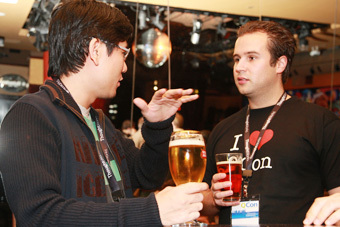 Grab a beer and start mingle with the speaker in the exhibition area.